Relish Mama is Melbourne’s much-loved cooking school and dinner party experience. We have a huge range of classes to suit all cooking levels and cuisine tastes. The ultimate family feast for you to share and enjoy with your loved ones. This ebook features amazing recipes by Nellie. 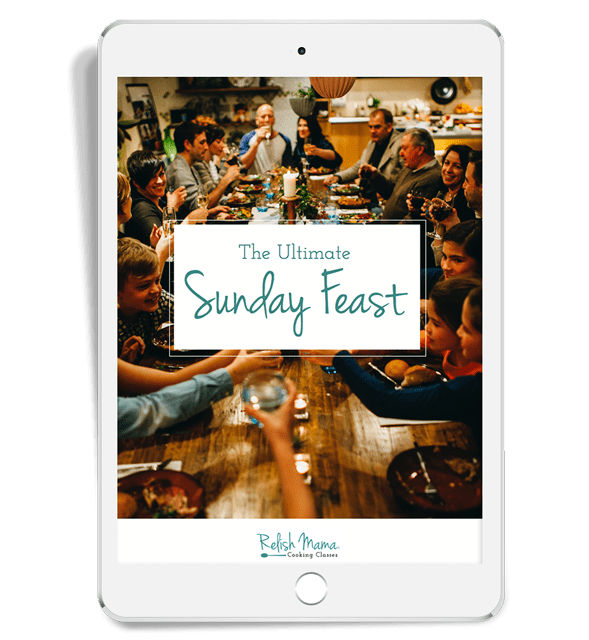 Recipes that celebrate connection, delicious food and slowing it all down at the end of the week. Nellie has such incredible passion for great food, connection and gathering. The space created at Relish Mama is as warm and generous as Nellie herself. We offer an amazing variety of classes. Whether you love Moroccan food, Asian, BBQ, Spanish, Mexican, Italian, Pastry making, Dumpling making, Cake decorating or you may be a complete beginner or needing to learn more about vegan cooking – we’ll be sure to have a class that tempts your taste buds. You will learn as well as taste and leave feeling confident to go home and cook and share with your loved ones. 4 Days of Easy Healthy Recipes & Hints. to prepare and cook in under 15 minutes. The Relish Mama cookbooks. 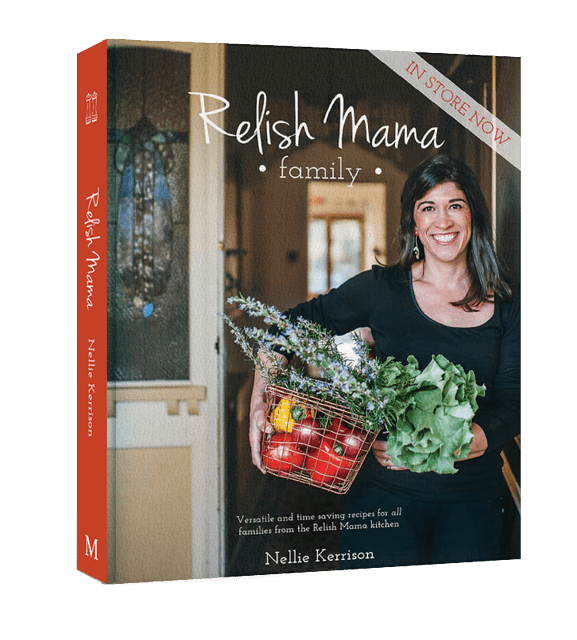 Buy your copy of the Relish Mama cookbooks online or all great book stores today. Contact us to get a quote and get to creating a very special class event with us here at Relish Mama. All rights reserved. © 2018 Relish Mama. Website by Digital Hitmen.